For those of you who have asked why I haven’t mentioned our stop in the Maldives, I thank you for paying such close attention, and applaud your desire for even more blogs! 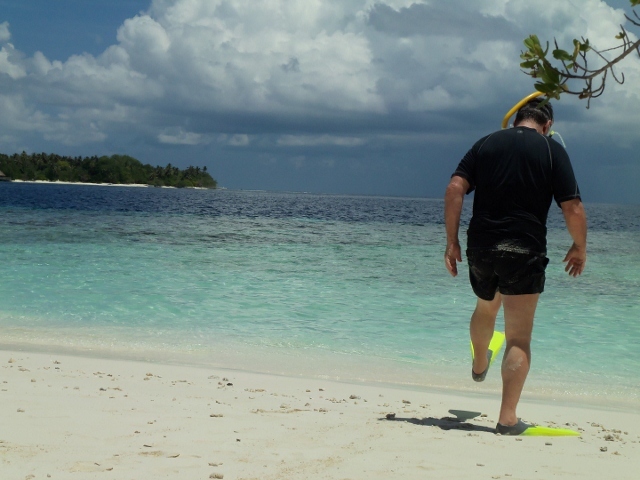 I didn’t write about the Maldives because despite the most amazing diving and snorkeling (we did the latter) there is nothing there. 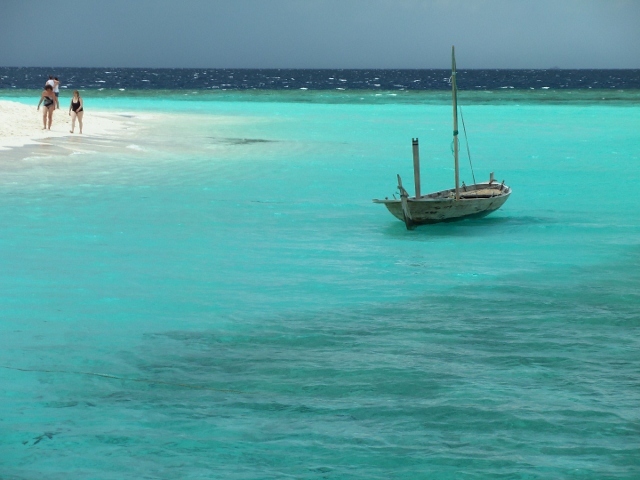 The Maldives are made up of dozens (maybe hundreds) of tiny atolls. 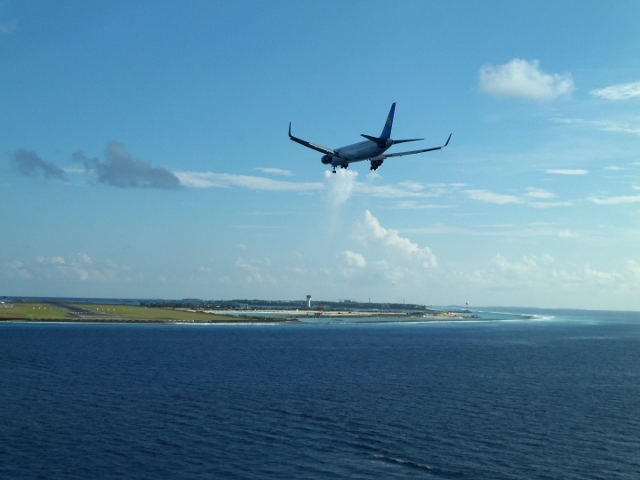 The largest atoll is just under a mile across and is completely covered by the capital city of Male, which is notable for nothing except its crowds of people all trying to live on a tiny island. The airport fills another island, and a third island is now being developed into an extension of Male. 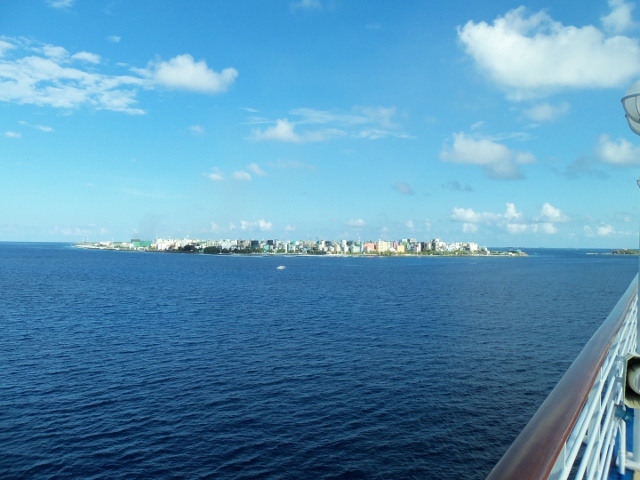 All the other atolls are just a few hundred yards across and just a few feet above sea level. They are surrounded by glorious sandy beaches and reefs. Each of the larger atolls is home to an upscale, glamorous, and very expensive hotel or resort (just one per island) and nothing else. The staff are not allowed to live on the island and have to commute by boat to Male. From the many uninhabited islands of the Maldives we are going to the over inhabited city of Mumbai. Mumbai. Such a lovely clean modern city. Enjoy.